Let’s take a quiz. The results may save you from being embroiled in a costly lawsuit. Have you ever worked for this company under any other name? Do you expect the leg to heal normally? Is there anything in your religious beliefs that would prevent you from working on a Saturday or Sunday? Since you’ve volunteered information about your condition, what accommodation would we need to provide were we to hire you? Only three questions on the above list are legal: Nos. 3, 7 and 10. If you passed with flying colors, congratulations! If not, read on. Fifty-three percent of U.S. employers have been sued by job applicants, employees or former employees. Of those suits that go to trial, the employer wins only about 35 percent of the time. Many of these cases never would have been filed if the companies had used a standardized, systemized hiring process and the hiring managers had been trained in what they can and cannot ask during interviews. While your lawyer can make sure your job application form contains no illegal questions, is anyone monitoring every interview to make sure the questions asked in person conform to the law? A lawyer can ensure your company’s job application doesn’t include illegal questions, but who’s monitoring interviews? 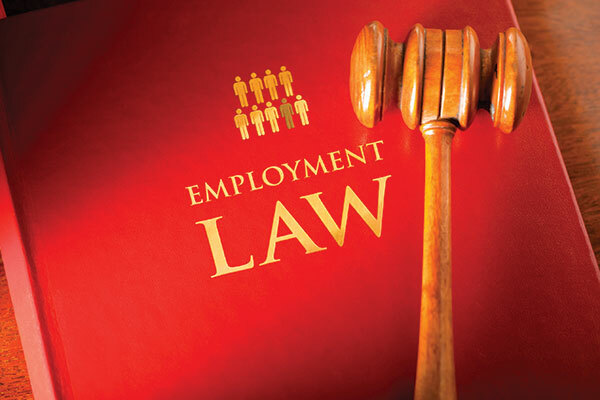 Unlike human resource professionals, most business owners and line managers are not well versed in the fine points of federal employment law. Therein lies the liability. Most of us have seen enough newspaper headlines to realize we shouldn’t ask about race, marriage, religion, children and age. There are, however, two times these kinds of mistakes are typically made. The second is when we get caught up in the interview and spontaneously ask the first question that comes to mind without a thought as to whether it is discriminatory or could be seen as discriminatory by the applicant. Let’s say you look at the job application form and notice this person attended the same high school you did. So, of course, you tell the applicant you share the same alma mater and say, “What class were you?” This innocent remark could make a case for age discrimination. The bottom line is there are only two ways to limit your legal exposure when it comes to hiring: 1). A standardized interview question set; and 2). Interview training for all hiring managers/owners. What every interviewer needs to know and remember is: If it isn’t related to the person’s ability to do the job, don’t ask it. The best way to stay out of court is to just stick to the questions that tell you whether or not the person can do the job.